These images were photographed 23 years ago in the community of Oakwood/Venice, CA. 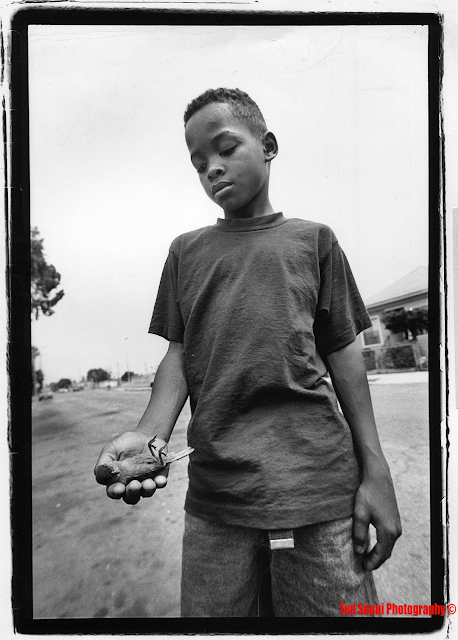 It was one year after the L.A. riots and the area was undergoing a sea-change. 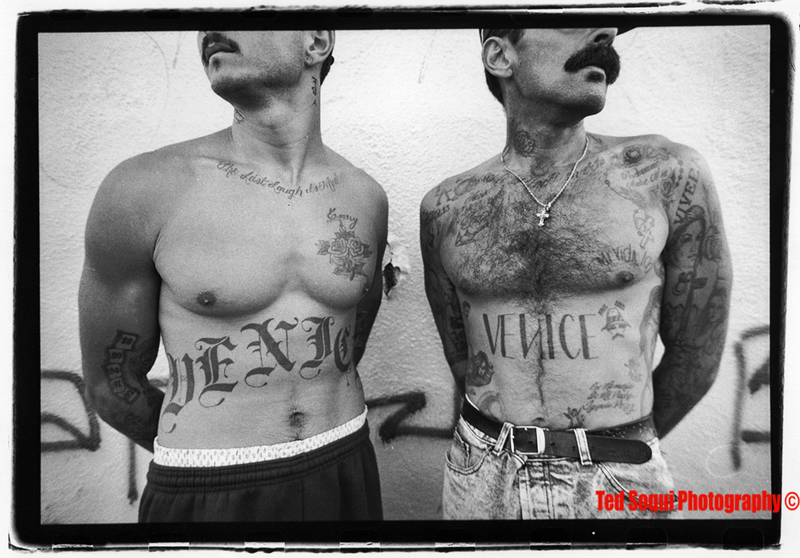 The L.A.Weekly sent writer Jill Sharer and me to do a report on the area. The area was under siege by gangs, drugs, police, and rich gentrifiers. In the middle of it all was an amazing vibrant community. Here a small selection of images from then. Wondering who stayed and where are they now. 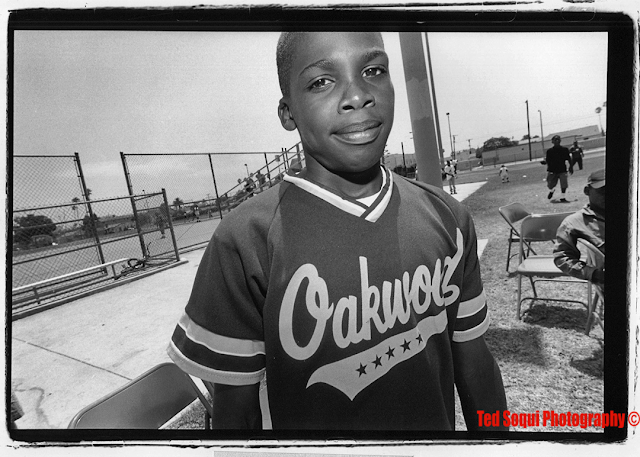 An Oakwood Allstar Little Leaguer. Young boy holding a dying sparrow. 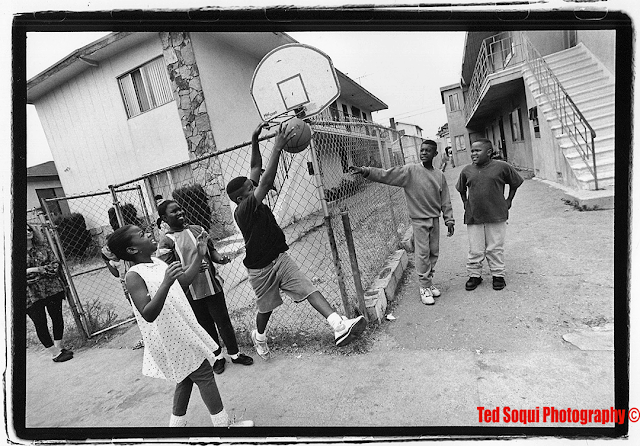 Basketball on a Oakwood street. 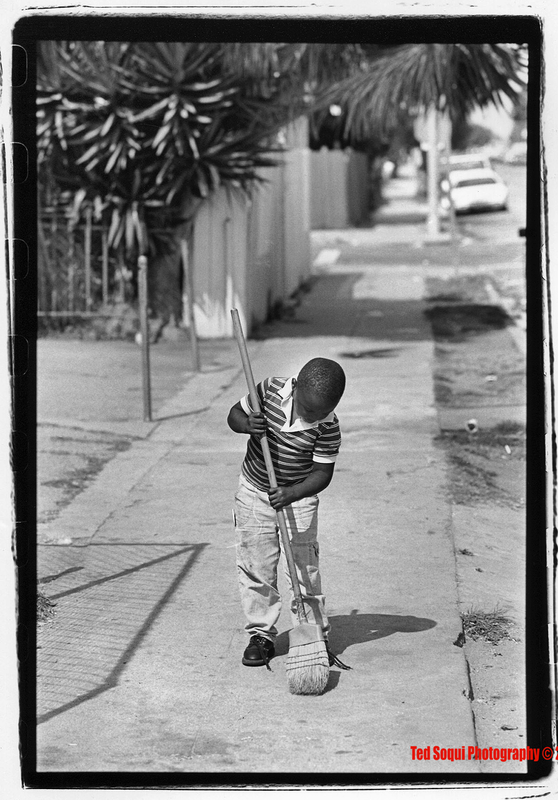 Young boy sweeping the sidewalk in Oakwood.